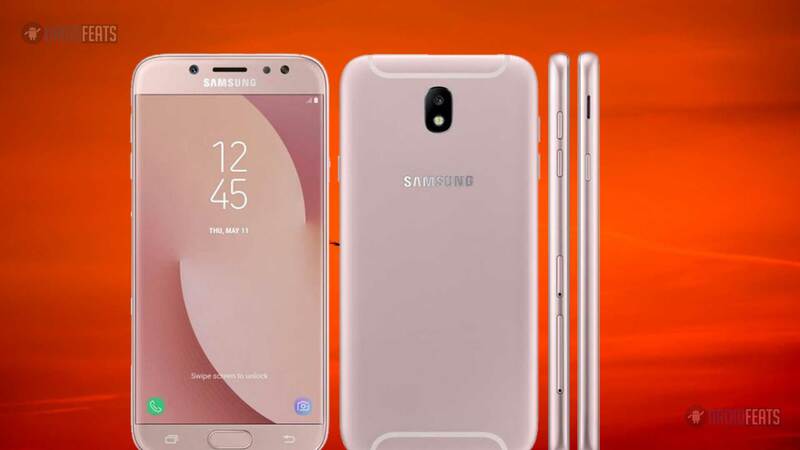 A complete guide on how to install UBU5BRK3 Android 8.1 Oreo Official Firmware on Samsung Galaxy J7 Pro is here. Samsung has released the latest Oreo update for Galaxy J7 Pro with build number UBU5BRK3. This build comes with November 2018 security patches. In case you are not able to update it via OTA (Over-the-air), you can use this guide to update Galaxy J7 Pro manually. A detailed step by step tutorial is given below along with the software download links for the Galaxy J7 Pro. We had also attached an article for rooting Galaxy J7 Pro on Oreo. Read ahead, and grab them all! We will be using Odin software in order to install UBU5BRK3 Android 8.1 Oreo Stock Firmware on Galaxy J7 Pro. Since this is an official update by Samsung, not a custom ROM, don’t expect any additional tweaks or pre-installed apps. But this build will definitely help you to bring your phone to an updated stock position. Bricked device: In case, your J7 Pro has been bricked while trying any custom ROM or mods, you can manually update your phone to recover and get back to stock position. OTA problem: If you aren’t getting direct OTA from Samsung due to carrier or region problem, you can download Samsung stock firmware and flash it to your phone using Odin tool. Rooted device: Rooting opens the window to customize your Android phone. But sometimes, this root status can break the OTA links. That’s why you might not be able to update your phone directly. Custom ROM: If you had installed any custom ROM like LineageOS, it is inevitable that there is no way to get official OTA. You need to flash the PDA and other files using Odin to get back to stock ROM. Bootloop: Facing bootloop issues due to some root apps or some Xposed modules? Manual update will help you! Android 8.1 is a significant system update from Android 7.0 Nougat that brings a bunch of new features and improvements. Being based on Oreo, the update carries all the Android 8.1 goodies. A quick list of main features are given below, and we hope you would love to use it on your device. There’s a Lot More in Android Oreo. Use it and experience yourself. Love the features? We love it too, and we know you are looking forward to installing official Android 8.1 Oreo on Samsung Galaxy J7 Pro. As you continue reading below, we will guide you to install Android 8.1 Oreo official firmware on Galaxy J7 Pro. We have written this tutorial carefully so that a first time user don’t get stuck in any step. You can download the J730GMUBU5BRK3 firmware file for Galaxy J7 Pro SM-J730GM from the link given below. The product code is TMM from Mexico (Movistar). Once you are sure that you made a complete backup of your necessary documents, you can move ahead to the tutorial below and update Galaxy J7 Pro to Android 8.1 Oreo Official Firmware with the latest security patch. Download the UBU5BRK3 firmware from the above-given link. Next, proceed to the installation tutorial from the link below. Please read the tutorial from the link above to install UBU5BRK3 Android 8.1 Oreo Official Firmware on Samsung Galaxy J7 Pro. The procedure has been described properly with screenshots. If you got stuck somewhere, drop your comment below, and we will help you as soon as possible. → HOW TO: Root Samsung Galaxy J7 Pro using Magisk utility! → HOW TO: Download SuperSU ZIP [latest] – Root your Android phone using TWRP! See also: 50+ Best Android apps for rooted devices (our favorite)! Next article[In Photo] Samsung Galaxy S10+ leaks, shows a punch-hole dual selfie camera!